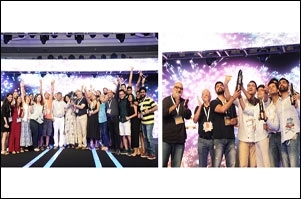 On day 1 of Goafest 2019, 19 Golds were given away in the Media category and 3 Golds in the Publisher category. A look at all the winners. Here's a glimpse of how it all went. One in the Innovative Use of Radio category for its 'Basant Loves Nidhi' campaign for Close Up. One in the Innovative Use of Branded Content-Integration category for the campaign called 'Bringing two rival nations together over a different "CUP"' for Brooke Bond Red Label. One in the Innovative Use of Branded Content-Creation category for the campaign called 'Waterfall Targeting' for Aditya Birla Capital. One in the Innovative Use of Data and Analytics category for the campaign called 'The Adaptive Data Lighthouse' for Lifebuoy. One in the Innovative Use of Activation category for 'Kuch Apna Sa' for Godrej Properties. 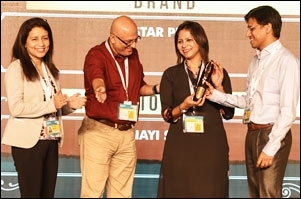 One in the Cause Marketing category for 'Warm Salt Water Soaks' for Tata Salt and one in the Innovative Use of Branded Content-Integration category for 'There's no Party without Domino's' for Domino's Pizza. One in the Innovative Use of Audio-Visual category for 'Mirzapur' that became synonymous with 'Gotham City' for Amazon Prime Video and one in the Innovative Use of Integrated Media category for the action-packed 'Mirzapur for Amazon Prime Video'. One in the Innovative Use of Radio category for 'How Stayfree used Radio to encourage comfortable conversations about menstruation' and one in the Innovative Use of Integrated Media category for 'How Innovations Transformed IPL to Deliver Record-Breaking Test Drives'. Jagran Prakashan has won 2 Golds for Sanskarshala and Jagranhindi.in respectively. The only other Gold winner in this category is ABP One from the ABP Group who won the Gold award for 'Cha Choluk Chini Noy' for the brand Sugar Free.